The Sahelian kingdoms once stretched across grasslands (called the sahel) which bordered the interior side of the Sahara desert, gaining wealth from routes traveled by traders on camels and horseback. While bounded by the inhospitable desert to the north, Ashanti and Yoruba warriors well-adapted to life in dense forests were simultaneously effective obstacles to any expansion of these kingdoms southward. This produced a "stripe" of advanced city-states cutting across the heart of Africa as illustrated above. Wikipedia speaks in more detail on the Sahelian kingdoms. 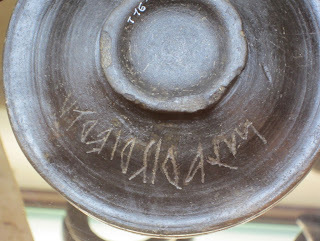 Details on a bucchero plate discovered last year are found under New inscription from Sarteano on Rex Wallace's blog. Many thanks for his clear photo of the text. Wallace has segmented the short, continuous-script text as m lariś riertu and opts to translate as "I (am) Laris Riertu" although, as he explains, the last name Riertu is unattested elsewhere. This alleged last name seems unlikely to me given the odd sequence rier-. I wonder if Wallace has overlooked another possible break-down of the sentence that more cleanly obeys expected Etruscan phonotactics: Mi Lariś-ri Ertu "I (am) for Laris Ertu." This immediately fixes the first problem because the name is now in the locative case with a postposition -ri 'for' properly marking the recipient of the offering. This still fails to adequately address the second issue but I think we gain from this a more plausible Etruscan name, Ertu. The closest thing I can find attested is artu in ET Sp 2.107, although a diminutive *Artiiu from the name Arte in TLE 338 is also within the realm of possibility. The sequence estrei alφazei appears throughout an Etruscan document called the Liber Linteus. I take this to be marked in the locative case ending in -i (with a meaning like English 'by', 'with' or 'at'). I see in this an original exonym of a goddess *Estara Alφazai, a transparent byname of the pan-Semitic lady of fertility. 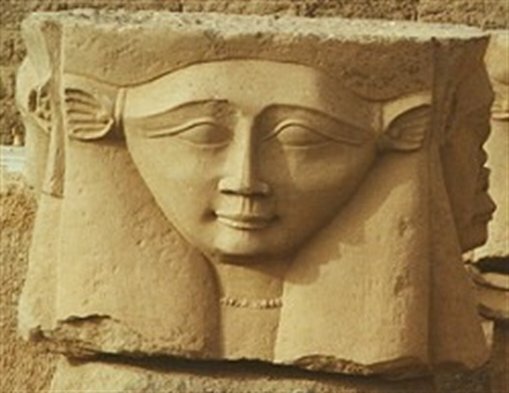 We can compare *Estara to Punic Phoenician *ʕAstoret or earlier Babylonian Ishtar, equatable with either the Great Goddess of the pantheon, Uni, or with the younger goddess Turan (aka Catha), the lady of fertility. The second term of this phrase is declined in the locative case too and appears to be a diminutive in -za. Stripping away the layered morphology of the second term then, we are reduced to a core root, *alφa, another transparent Semitic loan, meaning 'ox'. Putting this all together, I therefore read Estrei Alφazei as 'before Ashtarte with Calf' in reference to a general religious theme that existed across several Mediterranean cultures whereby a goddess of fertility like Ashtarte or Asherah is portrayed in the form of a mother cow with a bull as consort (representing an equivalent of Canaanite Baal) and she rears a son who's predictably in the form of a calf. One is reminded perhaps of later Egyptian worship revolving around a mother Isis holding the child Horus, or later still a mother Mary cradling the child Jesus in her arms. Based on what I understand from my current reading of the Liber Linteus, this sacred bovine goddess was honoured in Etruria with a procession of people in which a lectica was carried piously with religious icons (cletram śrenχve = 'lectica with icons') and holy offerings consisting of cakes and slain pig. It's interesting that the Etruscans were worshiping not only Greek and Roman deities but even Phoenician ones, however it's also to be expected given much documented Carthaginian influence on Etruria of which the Pyrgi Tablets are but a small part of the fuller picture. Etruscan culture was very cosmopolitan and relatively unxenophobic throughout the centuries since its inception due to the wide-spanning trade network reaching across the Tyrrhenian, Mediterranean and Adriatic seas. At one time, Etruria was the mirror to the ancient world which readily supplied all of its lavish riches. So it wasn't difficult for the average Etruscan to look outwards to other cultures for inspiration and to refer even to native gods with the closest equivalents in foreign pantheons. No doubt one's prestige in Etruria was built in part from this characteristic quest for the exotic. I'm still on a kick examining Pre-Greek terms. 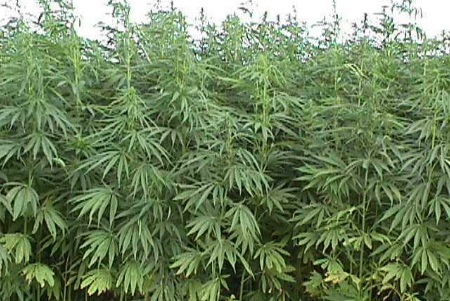 The topic of Greek substrate isn't complete without discussing the murky origins of the word κάνναβις 'hemp, marijuana'. There's still a certain prudishness about these topics in certain academic circles because of modern moral stances and deviant politics, however looking past the current times and exploring ancient perspectives without a wince is what a fair historian does best. Be brave. Let's take the plunge and have fun. In ancient times, the tyranny of centralized institutions didn't yet have the immense power to squash individual maturity, reason and choice when it came to drug use and consequences. Instead of drug laws and pharmacological monopoly, a thing called "direct consequence" did most of the work keeping the most wreckless of addicts from breeding the next generation. We can forget the idea that classical Greece could have grokked the logic behind the International Olympic Committee's unending witchhunt for athletes using "performance-enhancing drugs" which is not in keeping with the historical "olympic spirit" of yore. To an ancient, a winning use of drugs for athletic enhancement might to the contrary have been interpreted as the will of the gods who communicated through these substances. Different times, different perspectives. Drugs were once given religious respect and were responsible for the birth of ancient medicine. There was even symbolic connection between different widely-used drugs and individual deities in the pantheon. So an earthly deity like Pacha (Bacchus) was related to wine and mead in Etruria, for example. Opioids were also widely distributed in ancient times. Drugs were no big whoop once. The use of hemp and cannabis is sourced to Central Asia and is supported by Herodotus who specifically pointed to the Scythians and their traditions. As such, the mainstream answer to the origin of the word κάνναβις is through some concocted root in Scythian. Sometimes Thracian is pointed to as a possible source as well. Yet where are the Minoans in this discussion and when exactly was hemp/cannabis introduced into the region? How could it be possible for Minoans to not hear tell of either hemp or cannabis despite the fact that their Egyptian neighbours to the south were at the very least putting *šimšimat (spelled out by Egyptians as šmšm.t) to good use making ropes for sailing ships? The Assyrians would later refer to hemp as qunabu, and this appears to be some sort of distorted version of κάνναβις, perhaps through local folk-etymology. Historical linguists seem generally willing to hypothesize a Scythian or Thracian word for cannabis while avoiding equally tenuous Minoan hypotheses despite the fact that the Minoans are in the direct path of this conversation and represent a much more influential culture capable of transmitting this word far and wide. So perhaps there's opportunity for further exploration. Pot-smoking Minoan aristocrats? Why not? They already were aware of poppies. Pursuing a Minoan term for 'hemp', I offer up the following reconstruction for discussion: *ḳanya-apiya, literally 'bee stalk'. Phonetically, this lends a plausible alternative to the origin of Greek κάνναβις. However if we simultaneously recognize that κάννα 'reed, stalk, cane' itself is substrate, an underlying Minoan *ḳanya (probably in turn borrowed from a Semitic language. Cf. Akkadian qanû 'reed', Ugaritic qn) implies that κάνναβις was once some sort of compound noun referring to the cannabis plant as a type of stalk. This is too curious for me to dismiss as coincidence just yet. Calling for a compound, I'm attracted to the idea of *ḳanya-apiya, composed of *apíya 'bee', an obvious loanword from Egyptian *abíyat (bi.t). At first sight, it might be tempting to further rationalize this etymology by way of an assumed apian attraction to the smelly cannabis plant although the herb doesn't require bees to pollinate it. Or perhaps the sticky texture of a fresh plant may remind one of honey. Rather another relationship I have in mind is more spiritual. The bee and its honey during Minoan times must surely have been associated with whatever the Minoan equivalent of the generic Mediterranean fertility goddess was, a counterpart to Isis in Egypt or Ishtar in Babylon. Such a connection also makes sense on psychoactive grounds since everyone by now is aware of the effects of marijuana, producing mild euphoria and a general elevation of mood. A drug of love, and thus, so it may have been perceived in such times, a gift from Aphrodite. Perhaps all that I've said here is a smoke-filled haze of misinterpretation and verbose poppycock. I grant the skeptic this. Yet the Aramaic phrase qaneh bosm (קְנֵה-בֹשֶׂם) 'cannabis' (literally 'aromatic cane') is surprisingly close to the Minoan compound I hypothesize. 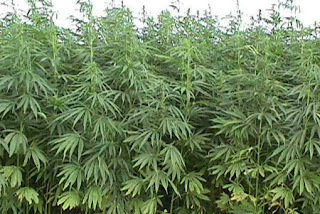 One way or another the still-unknown Minoan language most definitely had a word for 'hemp' and it's only a matter of determining what it likely was.